It can take on a highly functional role or mostly aesthetic one. Many hardscape projects are used to help with erosion and water conservation. Other projects are designed to create living spaces and custom features to work in tandem with other landscaping. 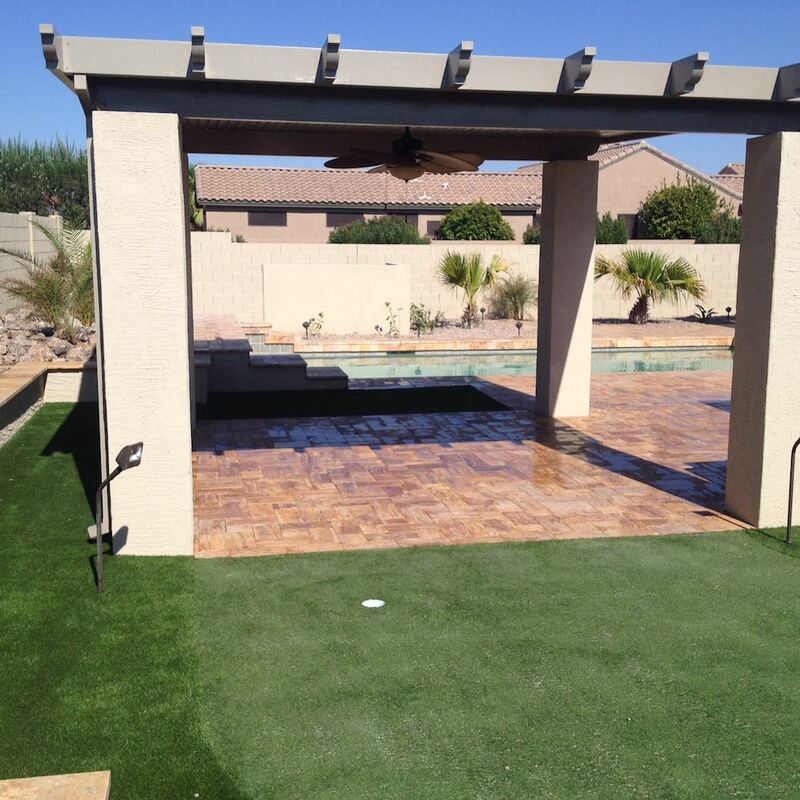 Sunburst Landscaping, Inc. uses the best products available to make sure your hardscape will stand the test of time. So if you are looking for xeriscape, hardscape, trees, plants, irrigation or even landscape lighting, we have the team that can make it happen. Bring us your project and ideas, and we can help make your yard your favorite place to be. Let’s go over a few key hardscape projects we can create for you. Other projects are designed to create living spaces and custom features to work in tandem with other landscaping. 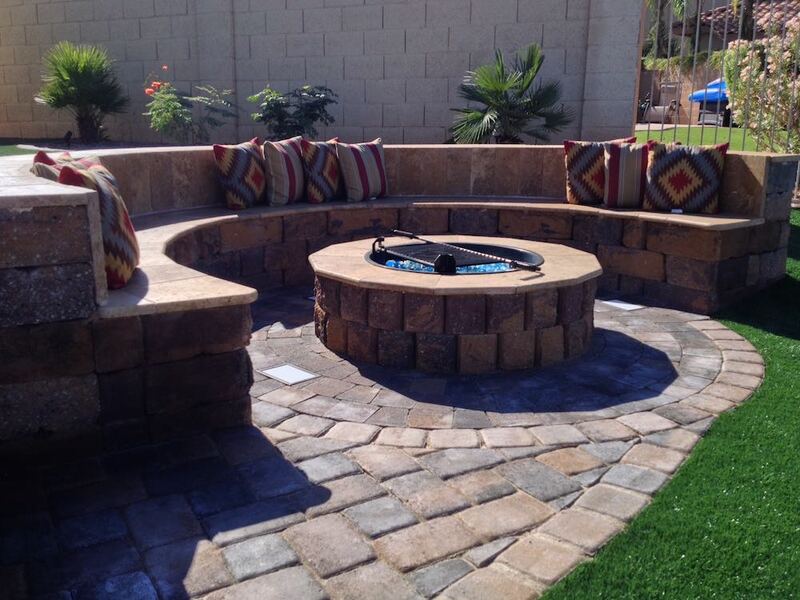 Sunburst Landscaping, Inc. uses the best products available to make sure your hardscape will stand the test of time. Pavers are generally used to create patios, walkways or driveways. We are a Certified Master Craftsman with Belgard paver products. 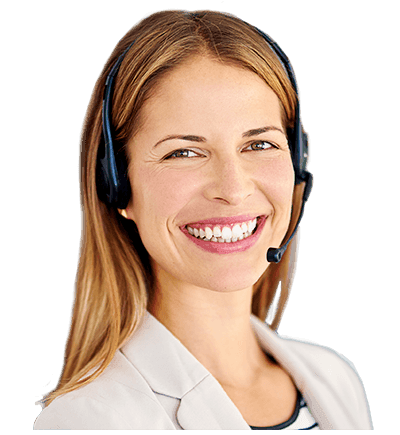 However, as such, we have access to any product on the market to help create the look and feel you want. So if you are looking for a traditional concrete layout or want to come up with a unique look for your project, we have ideas help transform your outdoor living space. Travertine is becoming a more popular choice for landscape projects in the Southwest. It is a natural stone with a fibrous appearance that has proven to be one of the most durable stone tiles on the market. It comes in natural, neutral colors that provide a refined touch to outdoor projects. It has consistency in color that allows for it to be matched much easier if you ever decide to replace a tile or add-on to the project. A great accent piece to consider for your outdoor design is a landscape wall. 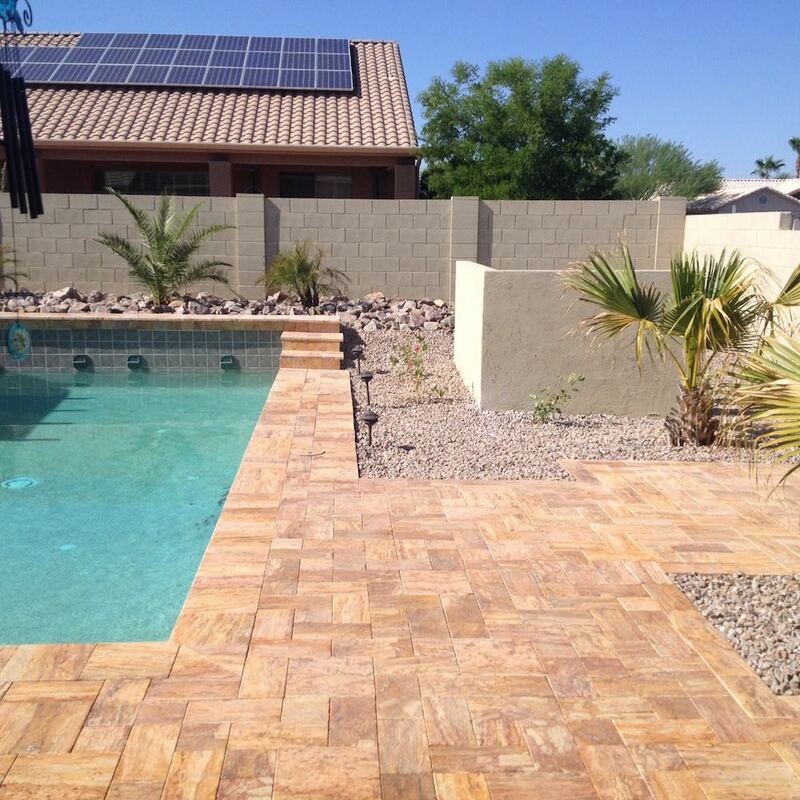 Designed to match pavers, these walls can be incorporated in many ways to accentuate your outdoor living space. They can function as retaining walls to help keep soil in place or as freestanding units that provide accents to a design. When used in tandem with other products, walls can be used to create gardens, benches, bases for outdoor kitchens and staircases. Sunburst Landscaping, Inc. can create and install custom water features to add ambiance to any project. Some of the most relaxing moments you spend outdoors can be from listening to the sound created by water movement. If you found a water feature you want to incorporate or you want us to design and build a one of a kind product for your yard, our installation team is skilled at making sure both are carried out well. 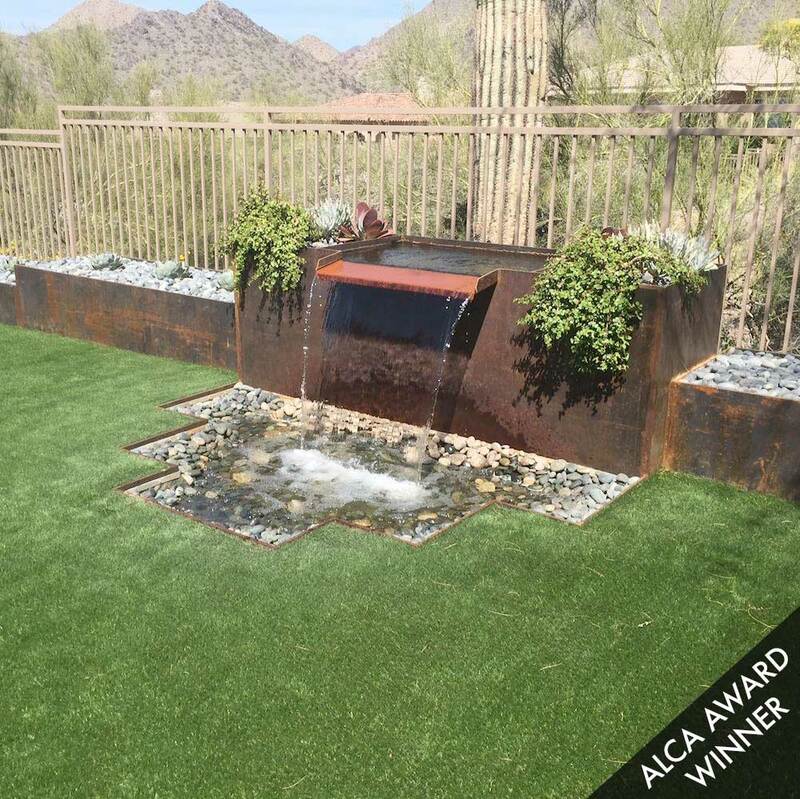 In 2016, we won the Arizona Landscape Contractor’s Association’s Award of Distinction for a Custom Water Feature Design that we built and installed in Scottsdale. We pride ourselves on making a feature that you can show off to your friends. Here in the Valley of the Sun, we get a lot of direct sunlight. One option for your home landscaping is the installation of a pergola. A pergola is a landscape feature that forms a shaded sitting area or passageway that has open roofing design. It can be built as an extension of a home or structure or it can be freestanding. Many Arizona residents use a pergola to provide shade over a sitting area or BBQ area for increased comfort.